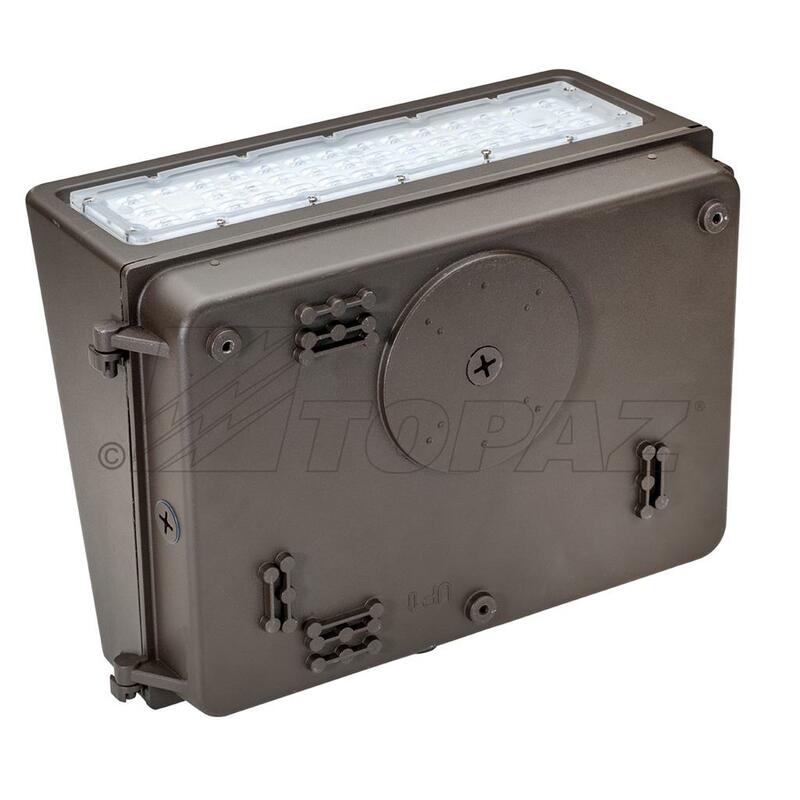 Topaz’s 40W Full Cut-Off wall pack features precision optics that direct light in the target area while minimizing glare and backlight. This durable, energy saving fixture is perfect for lighting outdoor walkways, landscapes, parking areas and perimeters. 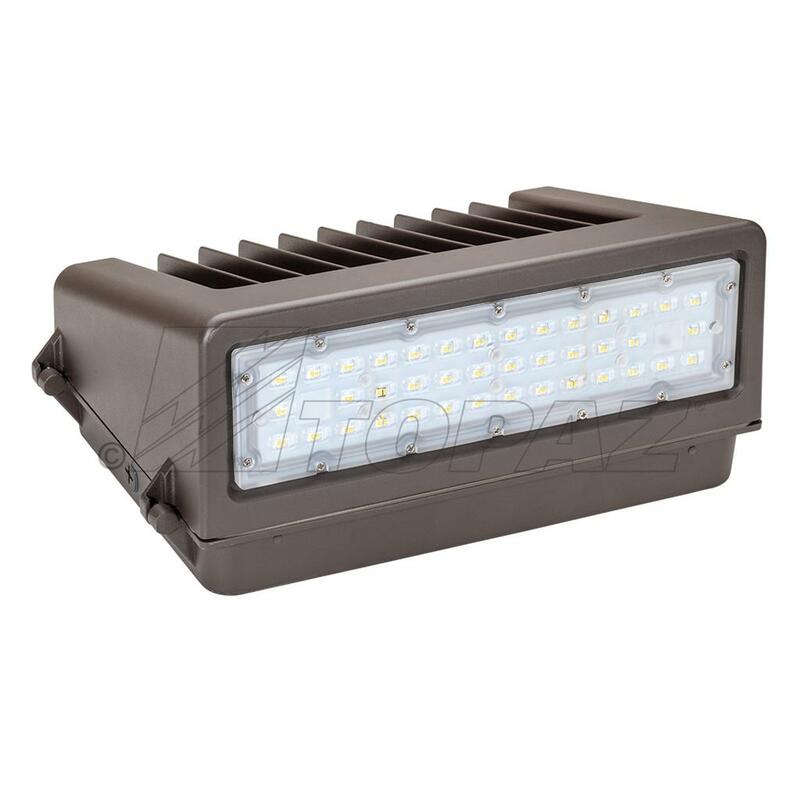 Efficacy for the series reaches up to 125 lm/W, translating to 75 percent energy savings over HID luminaires. 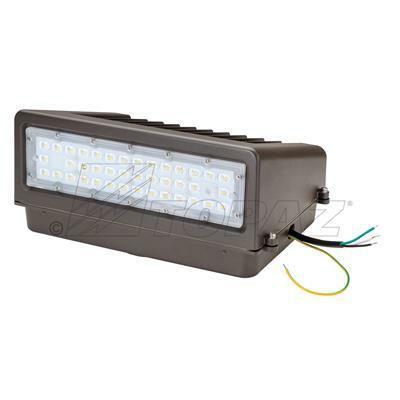 The fixtures include 10kV inherent surge protection and are compatible with photocells for additional energy savings. 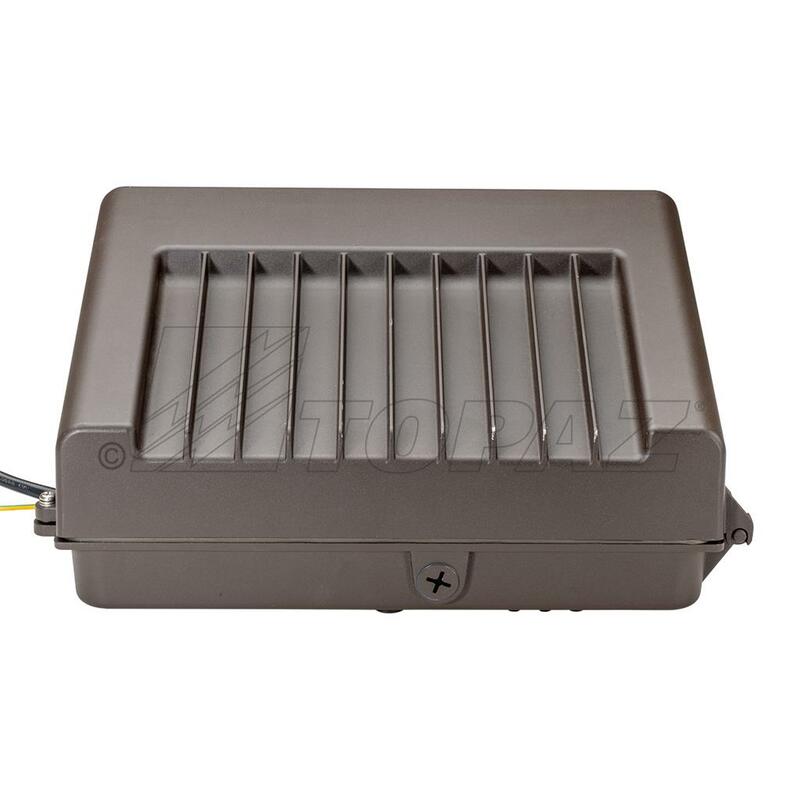 These wall packs are constructed of corrosion resistant aluminum housing, heat and impact resistant polycarbonate lens, and universal input voltage. Models available in 40W and 60W outputs, our Full Cut-Off LED Wall Packs are designed with sleek, heat-sinking fins and provide an exceptional 50,000-hour lifetime.